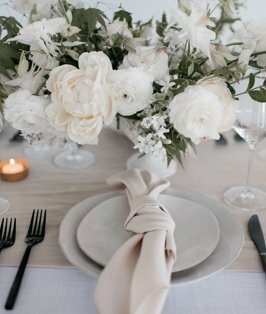 Elevated by a soft, wave-like texture, this blue-grey linen has an elegant simplicity that makes it the perfect foundation for any tablescape. Sterling Crest is inspired by undulating, snowy hills glimpsed under a full moon. It creates a comfortable and relaxed ambiance for any event.